Studies have found that a loss of 2% or more of one's body weight due to sweating is linked to a drop in blood volume. When this occurs, the heart works harder to move blood through the bloodstream. This can also cause muscle cramps, dizziness and fatigue and even heat illness, including heat exhaustion and heat stroke. 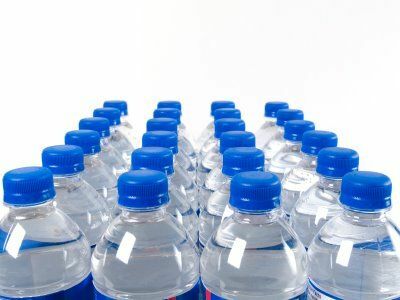 Inadequate fluid intake, excessive sweating, failure to replace fluid losses during and after exercise, exercising in dry, hot weather, and drinking only when thirsty. Drink plenty of fluids prior to activity, and replenish fluids during and after exercise. 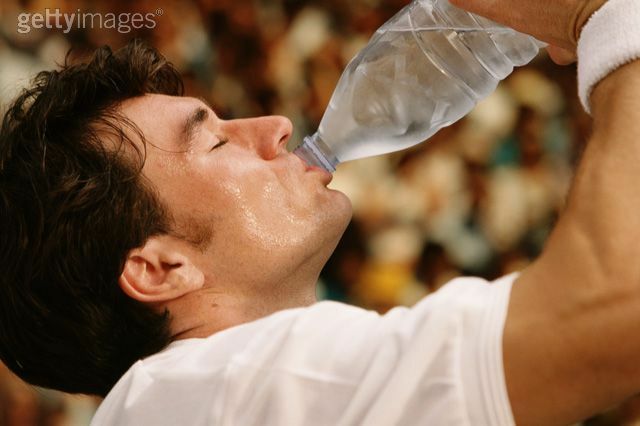 Though everyone knows to drink plenty of water, many people prefer the use of sports drinks. Just beware of potentially unhealthy and unnecessary ingredients. Read and compare labels of some of the leading sports drinks and look for ones with natural sweeteners such as organic fructose, not high-fructose corn syrup or aspartame. A quick scan of nutrition labels reveals that a majority of the most popular sports drinks are simply sugar water with little to no nutritive value - not exactly what you want in your system before your match. For a high quality sports drink worth it’s “salt”, look for one that contains sodium electrolytes, amino acids and carbohydrates. Better yet, find a sports drink that also includes vitamins, minerals and antioxidants and you’ll be way ahead of the game and far ahead of your opponents!